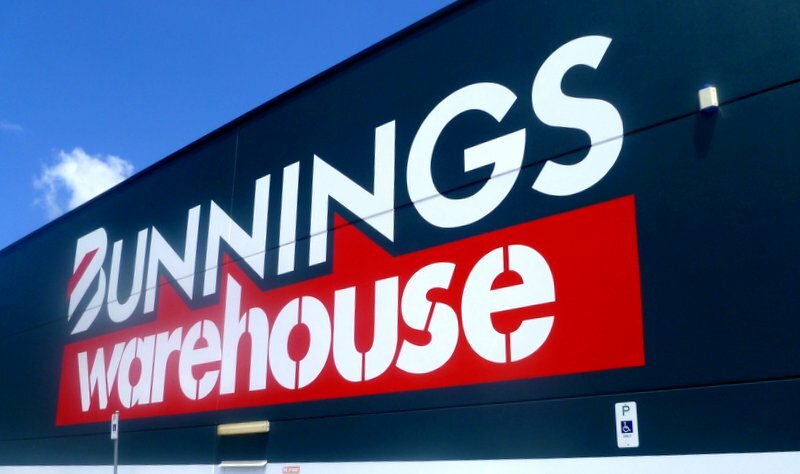 Bunnings, the leading Australian home improvement and outdoor living retailer whose products are often displayed in warehouse-style premises with an intimidating number of aisles to navigate. An unusual choice for a girls’ excursion on NYE, perhaps. 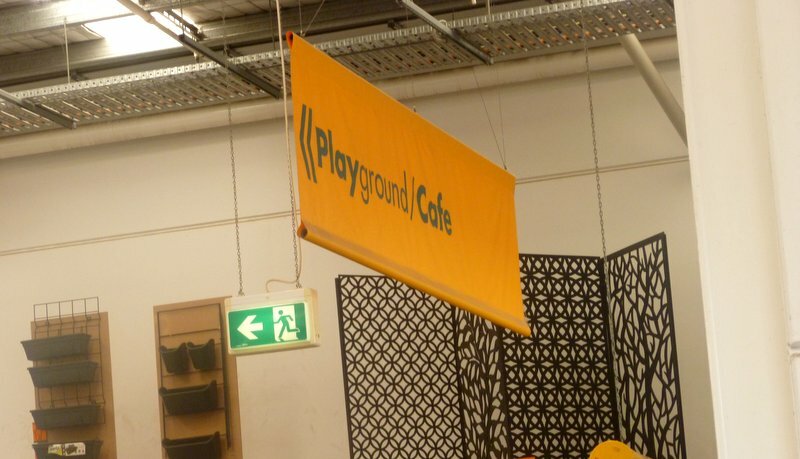 Until I point out that many of the stores incorporate a café and kids’ corner (along similar lines to Macca’s), and often run activities for children too. Yup, the good people at Bunnings certainly know how to attract the family demographic. Besides, after some impressive weeding and leaf clearing by Ickle and me earlier in the week, the little courtyard outside our front door was ready for some new plants. And Daddy Ickle had tasked us with finding a kitchen tap filter – the excitement! – so that washing up is no longer an excuse for an extra shower. Let’s get our priorities straight, though. We made a beeline for the playground as soon as we arrived. I sipped a (surprisingly good) flat white while the girls explored the space. Perfectly suited to Ickle now she’s almost four – don’t you know. 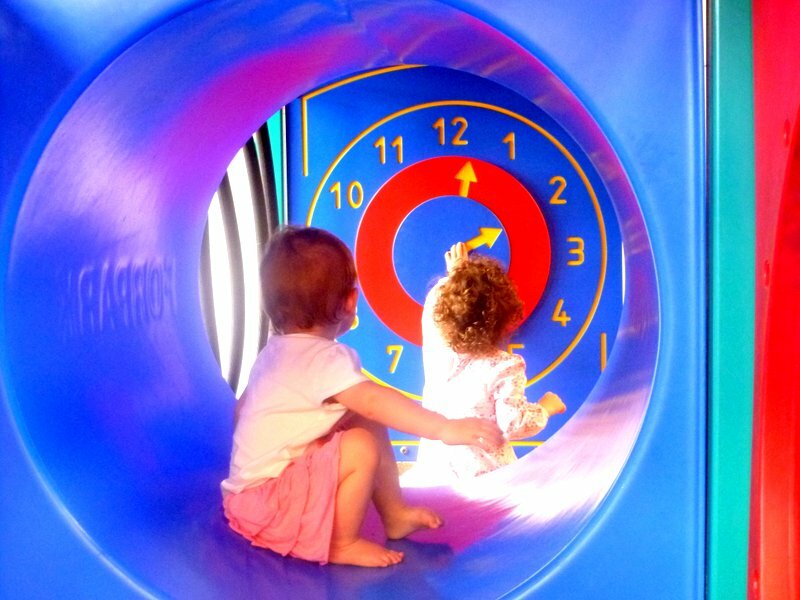 She scampered up one plastic chute and slid down the other, made faces at her little sister through the perspex windows, and adjusted the hands on a huge clock face. Mivvy was limited in what she could do, but enjoyed looking on, and made valiant attempts to scramble up the slide. 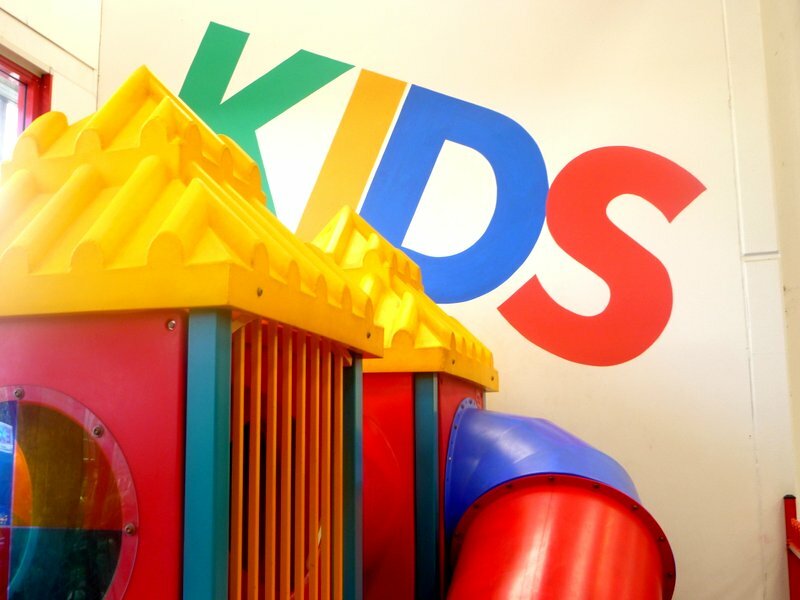 It’s a small space so things can get a bit manic with more than a handful of littlies at play, or when some of the big kids come in to let off steam. 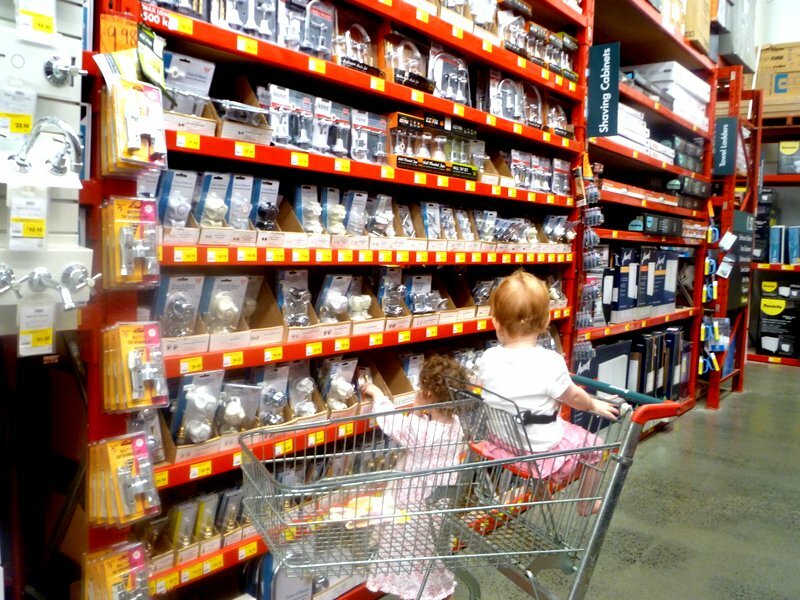 But great for a breather before the important business of tackling all those aisles. We didn’t find a tap filter despite our best efforts. And there wasn’t a miniature trolley in sight for Ickle to run around with, like on a previous visit. (Apparently they have a habit of disappearing). 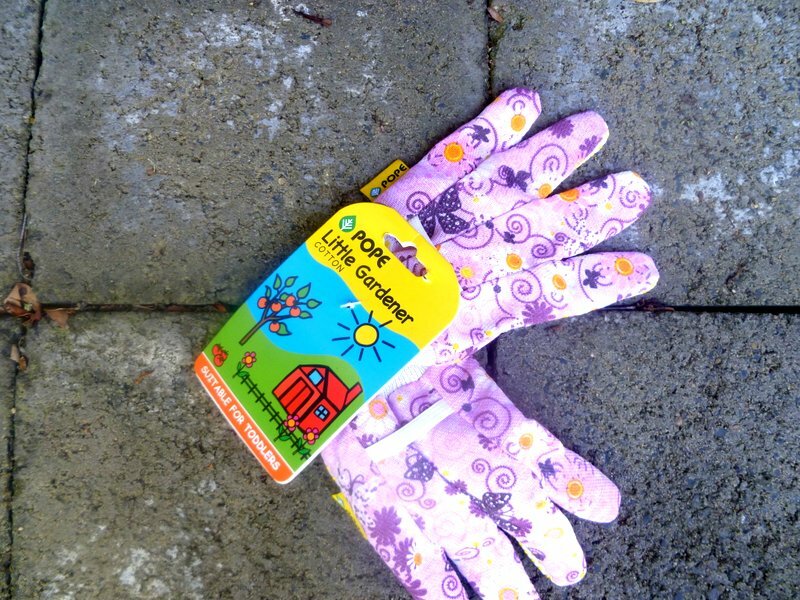 But we did come away with some beautiful plants and veg for our courtyard garden…and possibly the smallest pair of gardening gloves ever. 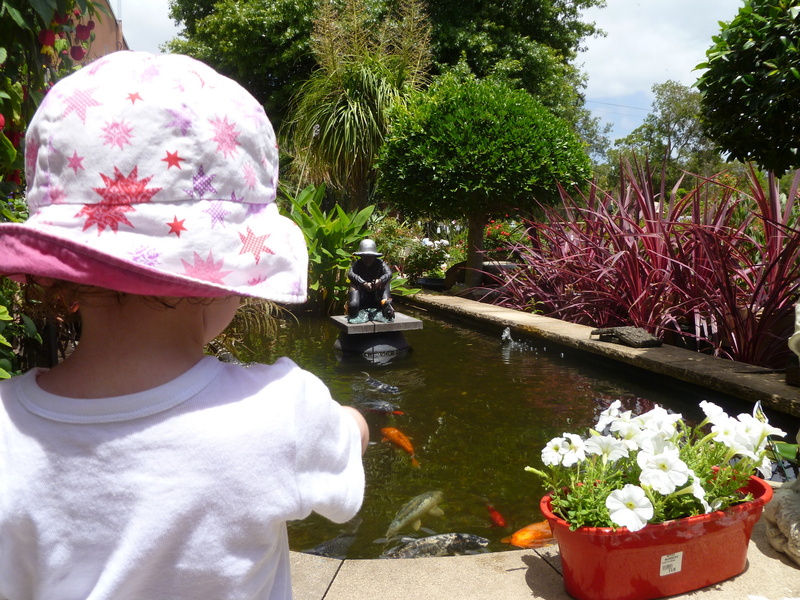 This entry was posted in Close to home and tagged Bunnings, café, courtyard, flat white, Macca's, plants, play space on January 1, 2016 by Laura. This gem of a café is located in Yamba, a resort town on the Clarence River just opposite Iluka, the fishing village I raved about in my previous post. It’s not on the main drag, but tucked neatly away up a side street. Don’t you get a bit of a thrill from discovering something, well, just a little bit off the beaten track? And we really did stumble on this one purely by chance. Yamba, though, was a deliberate choice. In fact, this is where I originally envisaged us staying on our road trip up the coast. Ages ago, I read that Yamba had ranked first in the 100 Best Towns in Australia, and thought “There must be something in this.” Then Cowrie Cottage in Iluka, on the other side of the river, popped up in one of my accommodation searches and I opted to stay there instead. 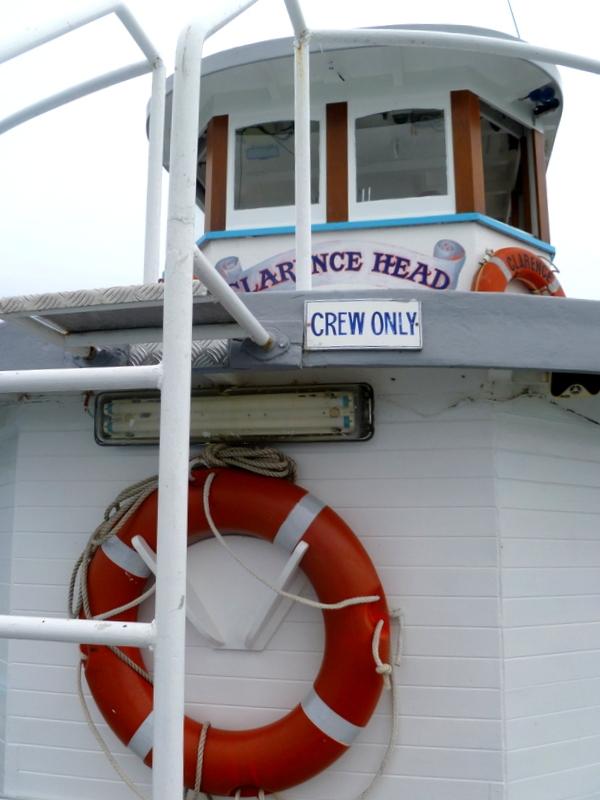 Especially since there is a regular ferry service on the Clarence between the two locations. 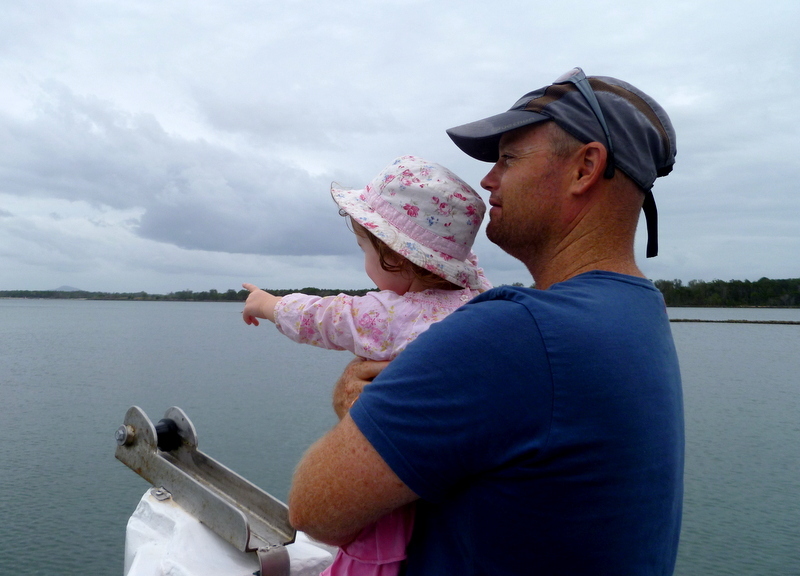 And the possibility of spotting dolphins on the way. Daddy Ickle had the privilege of seeing those magnificent mammals frolic in the bow waves on our ferry trip across the river; I saw a few – way in the distance – on our return. Ickle, alas, missed out on this occasion, but actually all she wanted to do that morning was run free. It was a pretty quick journey, thank goodness, as there’s not much room for toddler antics on a small, old-fashioned ferry. We had a gentle stroll to the beach on arrival in Yamba, but really the main reason for our trip was to find a nice café for lunch. Nothing too fancy, but not too basic either. After all, it’s not every day that Mummy Ickle turns 40. 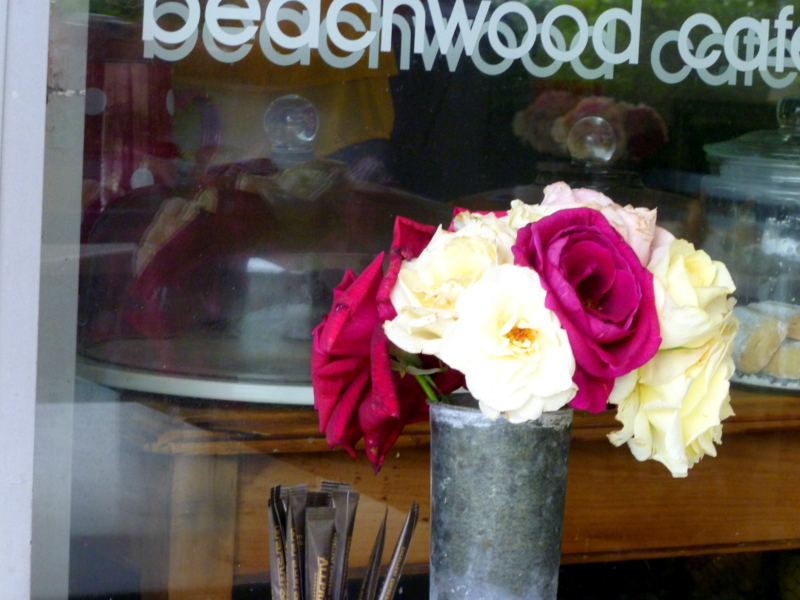 Yup, that defining moment of middle-agedom happened in Yamba, and Beachwood Café was waiting for us to celebrate in style. We were greeted at the door and seated by a lady who later turned out to be the owner and chef, as well as front of house and author of a couple of cookbooks (the ultimate multi-tasker). 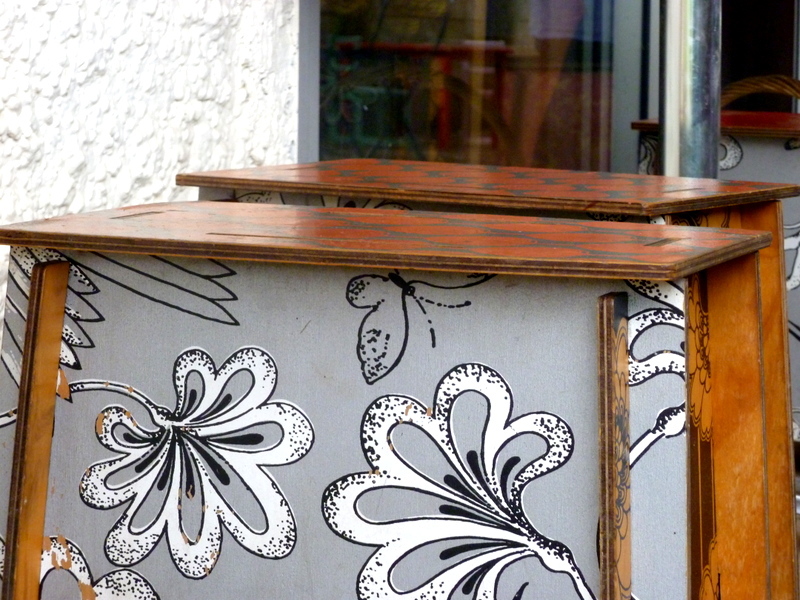 Originally from Turkey, her tiny café immediately transports you to another world. There were old-fashioned roses on every table, and herbs and vegetables growing on the bank opposite. The menu is based on fresh local produce and changes every day. I opted for slow-roast lamb, which arrived on a bed of mixed salad and leaves, with a generous smear of baba ganoush hidden underneath, whilst Daddy Ickle went for the zucchini fritters and salad. And Ickle picked and chose from each plate at will and, more importantly, sipped on her chocolate milk. The desserts were divine – oh to have been able to sample them all! 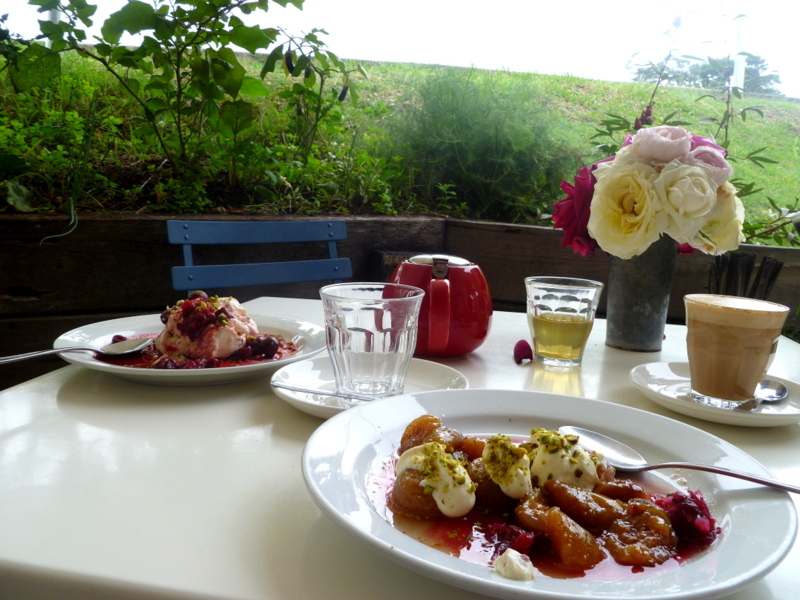 After much deliberation, we selected meringue with cream and sour cherries, and Turkish dumplings with caramelised figs and cream, both drizzled with rose petal sauce and sprinkled with pistachio nuts. Feast your eyes on this! 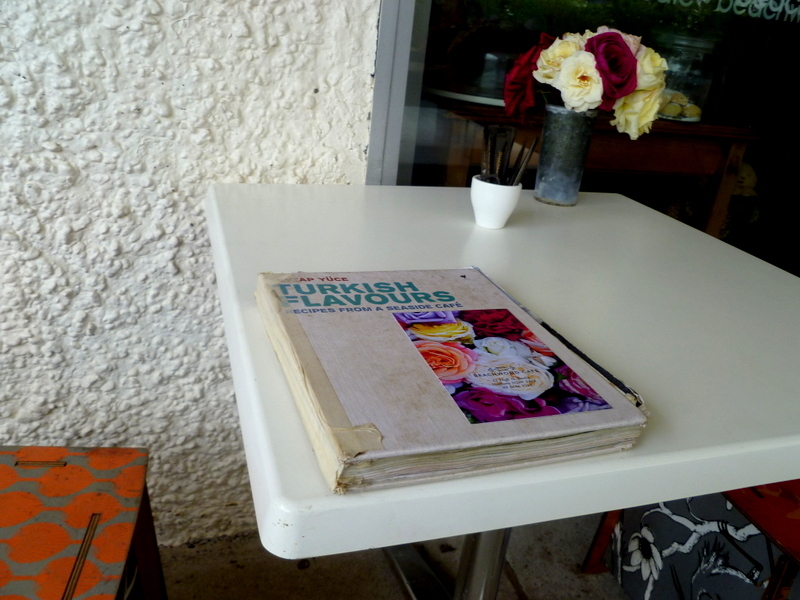 This entry was posted in Further afield and tagged baba ganoush, Beachwood café, café, Clarence River, ferry service, pistachio nuts, rose petal sauce, slow-roast lamb, sour cherries, Turkish dumplings, Yamba, zucchini fritters on April 23, 2014 by Laura. 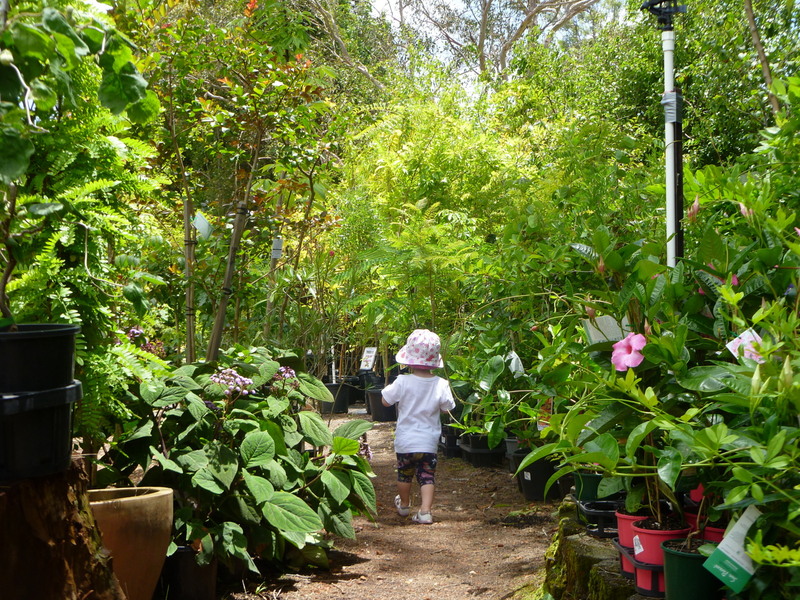 A nursery is both “a room in a house for the special use of young children” and “a place where young plants and trees are grown for sale or for planting elsewhere.” Combining the two can make for a very successful trip out with a toddler, as we found out earlier this week. Little Iz and her mummy had invited us to Wyee Nursery for a coffee. And a very nice flat white it was too; Icklegen’s milkshake was also pretty good, although the kid’s size is definitely aimed at an older child. It was GIANT! 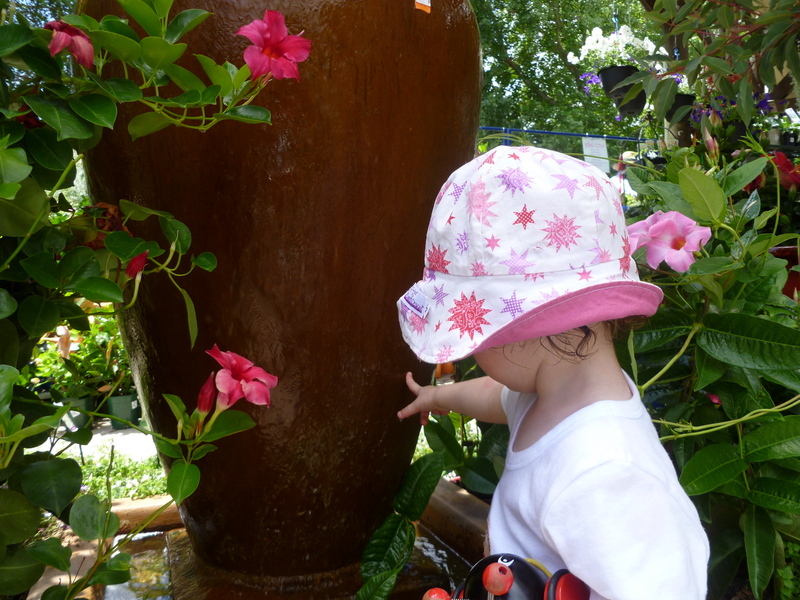 The nursery café is just a few paces from the gift shop in a small patio area screened with shrubs and flowers. The meals seem a bit pricey (e.g. $22 for a big brekkie), but maybe they are worth the money, I don’t know. Anyway, we stuck with drinks this time. But Icklegen did not stick with hers for very long. She started wriggling on my lap, desperate to escape (no highchairs are available and she quickly gave up on the garden chair option where her chin barely reached the table). Besides, there were far more exciting things to be discovered in the nursery. Like the koi pond. 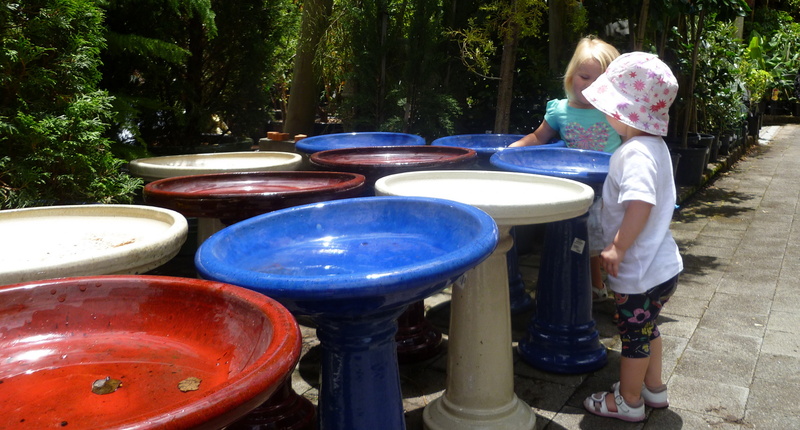 And water running down a beautiful glazed terracotta pot, or shimmering in brightly-coloured bird baths. 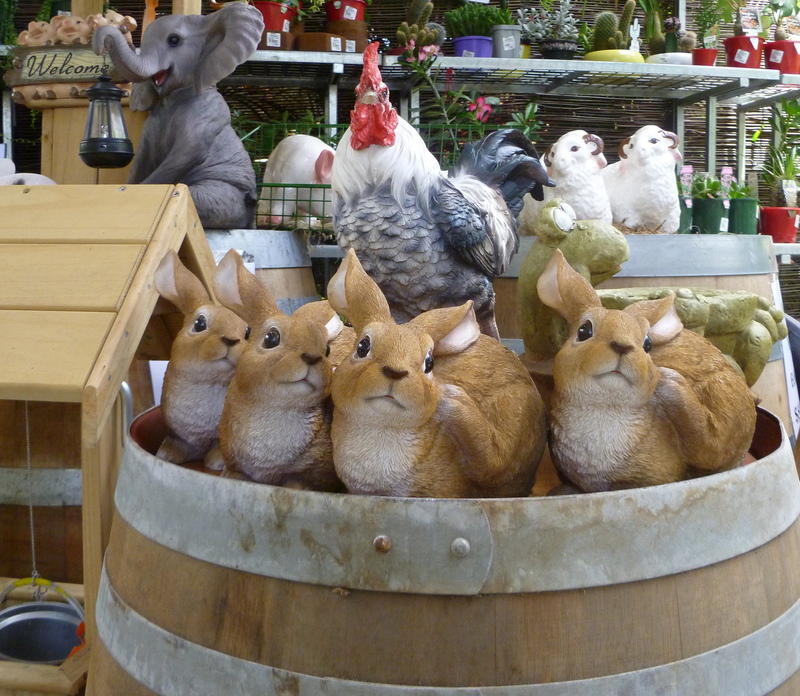 Not to mention the vast menagerie of china animals and gnomes (the ultimate addition to anyone’s garden). And then, there were the “young plants and trees”, everywhere you looked. Alleys lined with greenery and bursts of beautiful colour. 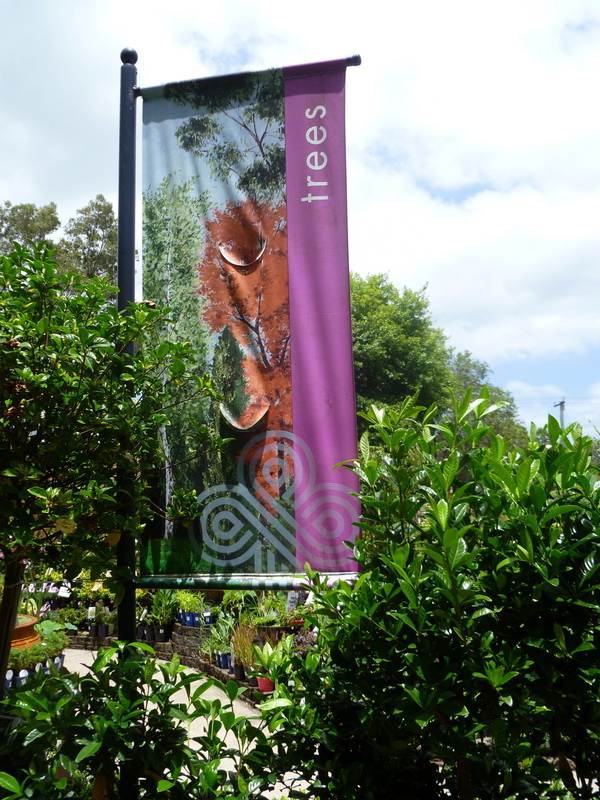 Natives, fruit trees, row upon row of garden herbs, succulents…you name it and they’ve probably got it. 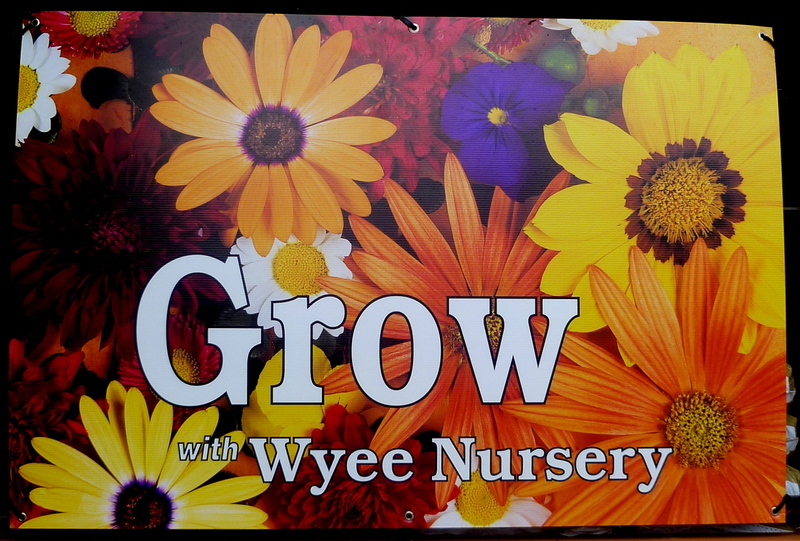 Wyee Nursery is a paradise for those with green fingers, and an inspiration for this budding gardener. 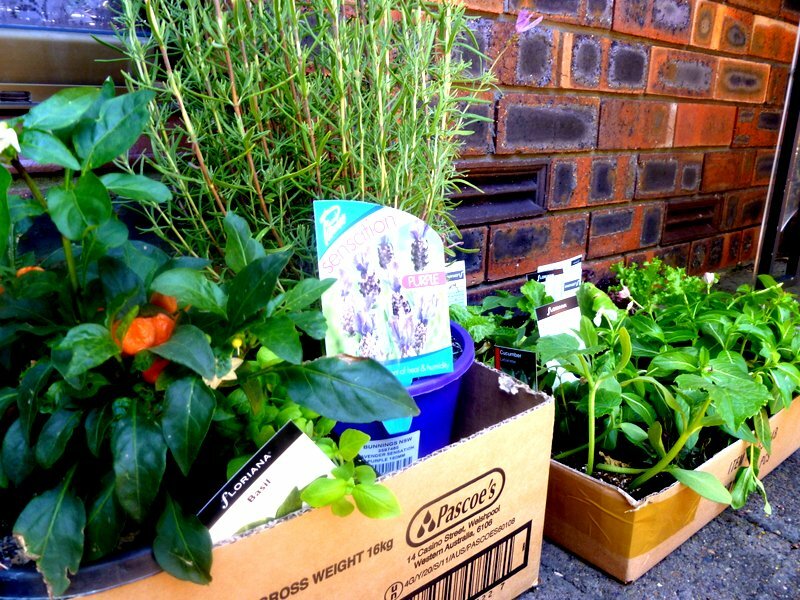 We have an unused patio space in our front garden and I have a vision of it in a few months’ time – actually, make that a year’s time – transformed into a small veggie patch. Nothing grandiose, mind, just a few tomato plants, some green beans, carrots and herbs, to start. Maybe I’m being a tad ambitious…but I think it could be a fun project where Icklegen can muck in with the planting and watering (and boy, does she like to get mucky). And she’ll also see that real veggies do not grow on supermarket shelves, but in the earth, over time. A post on our attempts to follow in due course! What veggies do you grow in your patch? 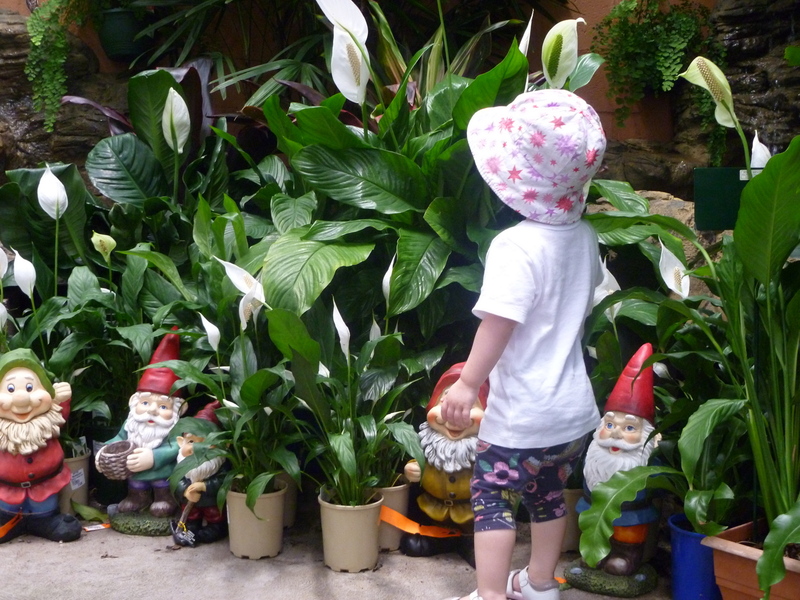 This entry was posted in Close to home and tagged café, flat white, garden gnomes, koi pond, milkshake, nursery, terracotta pots, veggie patch, Wyee Nursery on January 2, 2014 by Laura.